This recipe derives directly from my mother's kitchen. 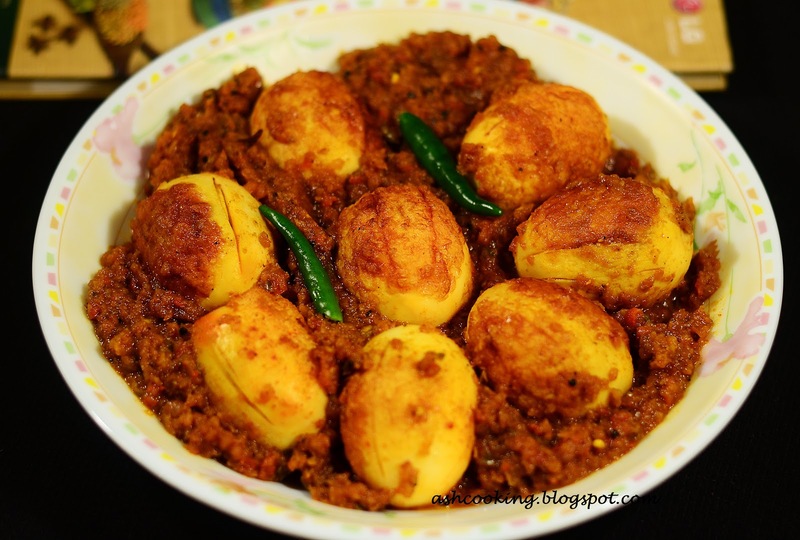 Undeniably, it is one of those finger licking tasty dishes that my mother fondly prepares and spices apart, her love added into the cooking makes it way tastier. This is one of my favorite egg preparations and needless to say, the oft-repeated one that my family loves lapping up. 1) First make a paste of onion, tomatoes and green chillies. 3) Now add mustard seeds into the oil and when they will begin to splutter, add the onion, tomatoes and green chilli paste. Simmer till the mixture starts changing color. 4) Add ginger and garlic paste. Roast them for 1 minute and then add all the spices. Sauté the spices for at least 10 minutes on medium heat. When the mixture will get dry, add 1 tbs of water and keep sautéing till the spices get properly cooked. Please don’t overdo water as the gravy needs to be thickened in consistency. 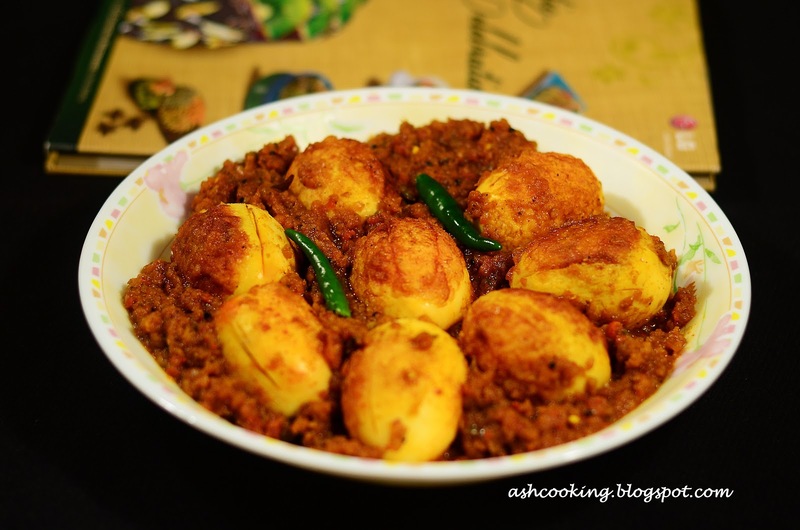 5) When the gravy will look tempting and spicy, add the eggs and cook for 2 minutes with lid covered on medium flame. Egg Devil Curry is now ready to win the hearts of all.